The Cage Warriors flyweight title fight between champion Nathan Greyson and challenger Blaine O'Driscoll set for Cage Warriors 99 has been cancelled. 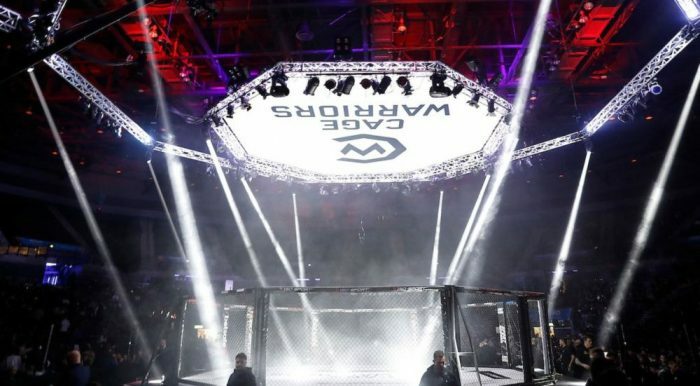 The main event for Cage Warriors 99 has been cancelled just four days away from the event after the Cage Warriors flyweight champion Nathan Greyson informed the promotion that he would not be able to make weight on Friday. The news was announced by Cage Warriors President Graham Boylan announced the news this afternoon on social media. Boylan also confirmed in his tweet that the bout between Jason Radcliffe and James Webb has been promoted from the co-main event slot to the makeshift headliner. Greyson (6-2) won the title back at Cage Warriors 92 in March earlier this year when he upset the odds to defeat Sam Creasey via third round TKO. Fighting out of Team Titan alongside the likes of Brad Pickett, Nathaniel Wood and Mike Ekundayo, Greyson had put together back-to-back wins over Sergei Morari and Jack Lambe under the UCMMA banner before then securing the Cage Warriors title in his promotional debut. The Londoner was set to take on Blaine O’Driscoll (6-2) who last fought in May when he defeated Aaron Robinson at BAMMA 35 in Dublin, Ireland. O’Driscoll has fought in Cage Warriors previously having defeated Darren O’Gorman at Cage Warriors 82 in 2017. The 26-year-old has yet to make a comment since the announcement this afternoon, but he will no doubt be disappointed to learn that he will likely have to wait for his maiden Cage Warriors title fight. It is still unknown as to whether Greyson will be stripped of the Cage Warriors flyweight title. Cage Warriors 99 takes place on Saturday night at the Charter Hall in Colchester, England.